President Vladimir Putin has said that “shameful” political killings in Russia should be stopped, after the shooting of opposition politician Boris Nemtsov just outside the Kremlin walls. The president said the most serious attention should be paid to high-profile crimes. 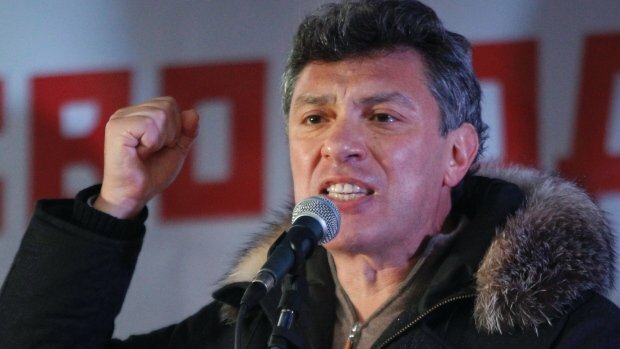 Boris Nemtsov, a former deputy prime minister, was murdered on February 27 and buried in Moscow on March 3. The motive is unknown, but Vladimir Putin’s aides have rejected suggestions that he had any involvement. Boris Nemtsov, who had been planning a march against the conflict in eastern Ukraine, said recently that he feared the president would have him killed because of his opposition to the war. The 55-year-old was shot four times in the back while walking with his Ukrainian girlfriend, Anna Duritskaya, on Great Moskvoretsky Bridge. At least 50,000 people turned out on March 1 to rally in tribute to Boris Nemtsov. Marchers, some chanting “Russia without Putin”, blamed the assassination on a climate of hatred fostered by the Kremlin and its supporters towards opponents of its Ukraine policy. “It is necessary to finally rid Russia of the shame and tragedies like the one that we lived through and saw quite recently. I mean the murder, the brazen murder of Boris Nemtsov right in the centre of the capital,” Vladimir Putin said in televised comments to the interior ministry. After the shooting, which the Kremlin described as a “provocation” aimed at discrediting the president, Vladimir Putin said he would do all he could to ensure the killers were brought to justice but little progress appears to have been made in the investigation. Russia’s finance ministry became part of the story on March 3 when it was asked about reports that a light-colored car used by the ministry had been seen in the area at the time of the shooting. The ministry’s press service said the Ford car belonged to an in-house security service, but not the ministry itself, Tass news agency reported. Lifenews website, which has close links to the security services, quoted the driver, Dmitry Karmaza, as saying he had driven past the scene a few minutes after the shooting, when a patrol car was already there. Separately, a video purportedly showing a far-right Russian group active in eastern Ukraine claiming it carried out the killing was dismissed by the group’s leader as a fake.